I have been pondering this question about the oooo that ends the song (starts at 2:16 in the video) for some time now. Have you ever contemplated what the meaning behind it sounds like? I'll put my take on it in a spoiler in case you want to answer before seeing my thoughts on it. It seems to me like John has been singing that song to himself, but then realizes other people have heard what he is saying. It is like he wants other people to know the thoughts in his head, but he isn't supposed to let people know. It is like he did something naughty. People shouldn't know he needs help, but he he doesn't care that he let them know. It fits the song so perfectly. Lennon said this was one of his most authentic and favorite songs he wrote in his career. He regret its fast tempo, but to me, I think the unusually frantic pace illustrates what the song was trying to say even more. Behind the screaming fans dancing to it, it was a frank plea for help hidden in plain sight. Has the recording of the vocal for the mono mix ever been sourced? I know John C. Winn has an entry for it in 'Way Beyond Compare' but he dismissed that himself in 'Lifting Latches'. The mono is such a different vocal, with subtle changes, and the mix too with the tambourine missing and other bits. I never noticed that the vocal is different. Now I hear it. Paul's backup vocal changes slightly too. On "my indepen.." he adds a little gravel to his voice. A clip of John singing the song slower with just a piano. It's from the early 70's (if I remember correctly). 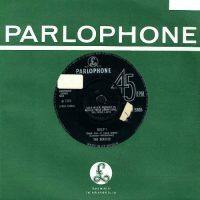 Someone posted it on here before thinking it was a rare demo before it was recorded by The Beatles in 1965, it's not. Its from a collection of demos from Tittenhurst Park. That's a really interesting interpretation, I really like it! I think it fits the song 100%! For me, John sounds like someone who had kept internal struggles inside himself for a very long time in this song and suddenly all the negative emotions, insecurity, and resentment towards himself burst out of him like a firework and he has no control over it. Then, when the 'oooo' comes at the end of the song, he realises that he has dropped his mask and finally has shown his real emotions which he hadn't dared to do all the time before. But instead of being embarrassed or shy or mad at himself for this meltdown, he simply reacts resigned, as if he wanted to say 'oh well, it doesn't matter, I don't care about it anymore, I'm just too tired to do so'. If John doesn't need *just anybody*, who specifically is he needing? Is it a specific person or a specific category of person (mother figure, father figure, psychiatrist)? Won't *you* please, please help me? I've been pondering these questions for a few days now. John's friend since childhood Pete Shotton says he is *you* - particularly in the line "And I do appreciate you being 'round". He says that line was written by John as a "thank you". Source = The Beatles Book (2016, Hunter Davies, et al) - Section One, 'Beatles People', page 132. I personally don't think there is a 'you'. John said the song was a genuine cry for help that they turned commercial by speeding it up. What if the inclusion of a 'you' was to make it more commercial too? I think in reality John was crying out for help to no one in particular within his immediate circles, but included a 'you' in order to turn the song into a love song, or at least make it appear that way. The point I'm trying to make is that although this song could technically be considered a love song, once you know the context, it's hard to hear it as such. Add the fact that John admitted to making it more commercially viable and it seems even less likely that it was genuinely written with a specific person in mind. I never thought of it as a love song. Not by a country mile. Perhaps because of the looking-at-it-in-retrospect phenomenon. Yeah, probably. Interesting way to think of the song. I've always assumed the song is about Julia . But then, it could also be about Cyn, Paul or pretty much anyone. I think it makes more sense as John just crying out to nobody in particular. I always thought the *you* was someone that could help him out. He didn't need a crowd of people or everyone helping him, just the one that would really, truly help him.